Wine Art, a company whose main activity is import and distribution of wines, is building up its story of wine and is presenting “PODRUM Wineart” wine bars. 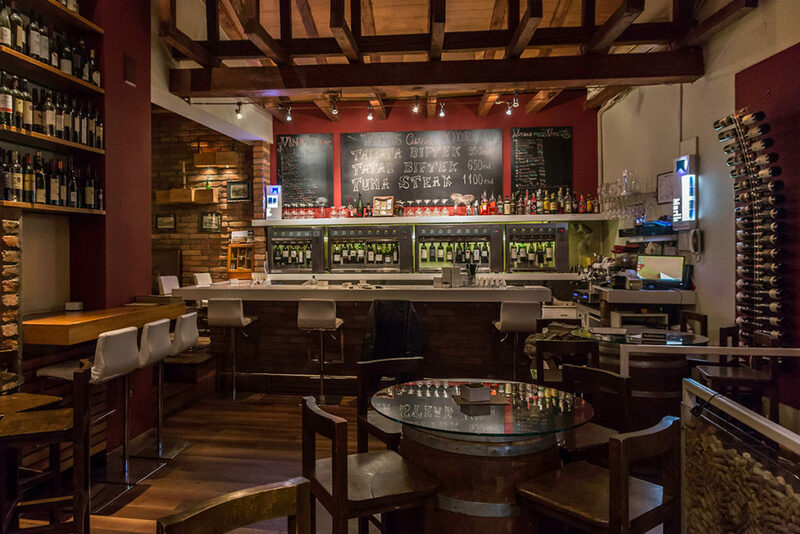 You can find and visit Podrum Wineart wine bars on two locations. 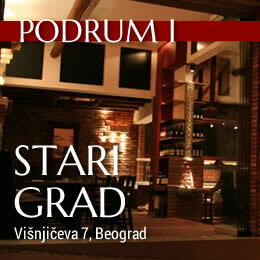 The original Podrum Wineart wine bar is located in the very heart of Belgrade, at the corner of Visnjiceva and Gospodar Jevremova streets, a place of captivating beauty that represents an authentic blend of the modern and rustic, all in order to provide a more comfortable and high-quality enjoyment in wines from all corners of the world. Within Podrum Wineart, you will find a wine shop and a wine bar with a large selection of wines, coming with diverse prices and different surprises. We offer over 200 different wine labels from Serbia, the Balkan region and the rest of the world at competitive prices. 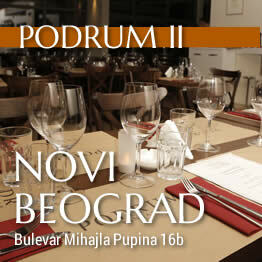 Six years after the opening of Podrum Wineart wine bar in downtown Belgrade, Wine Art has decided that its offer of premium wines, food and pleasant atmosphere should be expanded to the area of Novi Beograd. “Podrum Wineart” in Novi Beograd was opened in April 2015 as a part of a new residential complex in Mihajlo Pupin Boulevard, between streets of Goce Delceva and Dzona Kenedija. It is a wine bar and a restaurant, a place that captivates with its beauty and warmth. Having a glass of wine in its exquisite gardens and enjoying the scent of lavender and olive trees make up a story in its own right, which has to be experienced in person to be truly understood. In addition to plentiful and varied wine list and a wine shop located within the premises, Podrum Wineart in Novi Beograd offers a rich and diverse selection of dishes, under the baton of Chef Petar Mandic. Out of his culinary specialties, and only for true gourmets and those who indulge in food, we recommend homemade pasta, meat and seafood dishes prepared by Sous Vide technique, as well as treats from the domestic cuisine..
At Podrum Wineart wine bar in Novi Beograd, the guests have the opportunity to choose wines from Enomatic Wine Dispensers which is a special equipment for serving wine “by the glass”, with the help of a wine card. For the first time in Belgrade, a guest can make a payment to a special wine card, have the opportunity to taste wines and let the wine take the lead. The guest chooses himself whether he wants a full glass, half a glass or only a wine tasting. The quality of this unique restaurant is reflected in the famous wine dinners, with well-known Serbian and foreign winemakers as their guests. The offer includes the possibility of organizing various celebrations, cocktail parties, business lunches and wine dinners. Also, in addition to the wine and food, there is a wine shop as well, with a large selection of wines, which you can buy, (some of it you can try on the spot), but also order a wine delivery to a specific address, wrapped up as desired.